Repairs, protects and perfects the skin post-procedure. 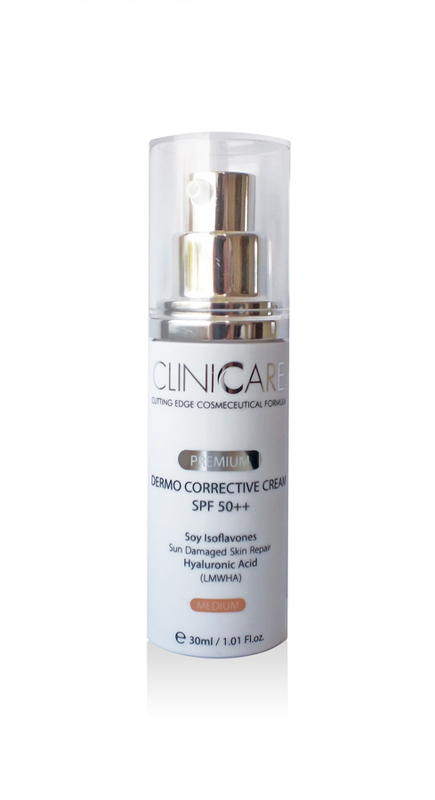 The Dermo Corrective Cream SPF50 is an innovative all-in-one skin perfector designed for the most delicate of complexions. This multi-use cream not only hydrates and soothes the skin but contains UV filters and self-adjusting pigments, to both protect and enhance the appearance of most skin tones. Providing lightweight coverage to hide redness, uneven tone and dullness, this cream repairs and strengthens as it hides imperfections, making it a great product for post-procedure care. It is safe to use following most in-clinic treatments such as filler treatments, micro-needling, chemical peels, laser therapy and mesotherapy. Suitable for all skin types, even sensitive skin, massage a small amount into clean skin on the face every morning for best results.